In this paper, we propose a novel approach to person detection in UAV aerial images for search and rescue tasks in Mediterranean and Sub-Mediterranean landscapes. Person detection in very high spatial resolution images involves target objects that are relatively small and often camouflaged within the environment; thus, such detection is a challenging and demanding task. The proposed method starts by reducing the search space through a visual attention algorithm that detects the salient or most prominent segments in the image. To reduce the number of non-relevant salient regions, we selected those regions most likely to contain a person using pre-trained and fine-tuned convolutional neural networks (CNNs) for detection. We established a special database called HERIDAL to train and test our model. This database was compiled for training purposes, and it contains over 68,750 image patches of wilderness acquired from an aerial perspective as well as approximately 500 labelled full-size real-world images intended for testing purposes. The proposed method achieved a detection rate of 88.9% and a precision of 34.8%, which demonstrates better effectiveness than the system currently used by Croatian Mountain search and rescue (SAR) teams (IPSAR), which is based on mean-shift segmentation. We also used the HERIDAL database to train and test a state-of-the-art region proposal network, Faster R-CNN (Ren et al. in Faster R-CNN: towards real-time object detection with region proposal networks, 2015. CoRR arXiv:1506.01497), which achieved comparable but slightly worse results than those of our proposed method. Communicated by Dr. Jason J. Corso. This research was carried out in part within the framework of a IPSAR project, University of Split, Croatia. It is also partly supported by Federal Ministry of Education and Science, Bosnia and Herzegovina by Grant (NG 05-39-2945-3/16) to Faculty of Science and Education, University of Mostar. We thank NVIDIA Corporation for GPUs donation through Nvidia GPU Edcuation Center program at University of Mostar. Anna Gaszczak, J. H., & Breckon, Toby P. (2011). Real-time people and vehicle detection from UAV imagery (Vol. 7878, pp. 7878–7878-13). https://doi.org/10.1117/12.876663. Borji, A., Cheng, M. M., Hou, Q., Jiang, H., & Li, J. (2014). Salient object detection: A survey. arXiv preprint arXiv:1411.5878. Eggert, C., Brehm, S., Winschel, A., Zecha, D., & Lienhart, R. (2017). A closer look: Small object detection in faster R-CNN. In 2017 IEEE international conference on multimedia and expo (ICME) (pp. 421–426). https://doi.org/10.1109/ICME.2017.8019550. Girshick, R. B. (2015). Fast R-CNN. CoRR arXiv:1504.08083. Girshick, R. B., Donahue, J., Darrell, T., & Malik, J. (2013). Rich feature hierarchies for accurate object detection and semantic segmentation. CoRR arXiv:1311.2524. Gotovac, S., Papić, V., & Marušić, Ž. (2016). Analysis of saliency object detection algorithms for search and rescue operations. In 24th International conference on software, telecommunications and computer networks (SoftCOM) (pp. 1–6). https://doi.org/10.1109/SOFTCOM.2016.7772118. He, K., Zhang, X., Ren, S., & Sun, J. (2015). Deep residual learning for image recognition. CoRR arXiv:1512.03385. Koester, R. (2008). Lost person behavior: A search and rescue guide on where to look for land, air, and water. dbS Productions. https://books.google.hr/books?id=YQeSIAAACAAJ. Krizhevsky, A., Sutskever, I., & Hinton, G. E. (2012). Imagenet classification with deep convolutional neural networks. In Proceedings of the 25th international conference on neural information processing systems—Volume 1, Curran Associates Inc., USA, NIPS’12 (pp. 1097–1105). http://dl.acm.org/citation.cfm?id=2999134.2999257. Li, J., Levine, M. D., An, X., Xu, X., & He, H. (2016). Visual saliency based on scale-space analysis in the frequency domain. CoRR arXiv:1605.01999. Musić, J., Orović, I., Marasović, T., Papić, V., & Stanković, S. (2016). Gradient compressive sensing for image data reduction in UAV based search and rescue in the wild. In Mathematical problems in engineering, 2016. https://doi.org/10.1155/2016/6827414. Ren, S., He, K., Girshick, R. B., & Sun, J. (2015). Faster R-CNN: Towards real-time object detection with region proposal networks. CoRR arXiv:1506.01497. Rudol, P., & Doherty, P. (2008). Human body detection and geolocalization for UAV search and rescue missions using color and thermal imagery. In 2008 IEEE aerospace conference (pp. 1–8). https://doi.org/10.1109/AERO.2008.4526559. Russakovsky, O., Deng, J., Su, H., Krause, J., Satheesh, S., Ma, S., et al. (2014). Imagenet large scale visual recognition challenge. CoRR arXiv:1409.0575. Simonyan, K., & Zisserman, A. (2014). Very deep convolutional networks for large-scale image recognition. CoRR arXiv:1409.1556. Syrotuck, W., & Syrotuck, J. (2000). Analysis of lost person behavior: An aid to search planning. Barkleigh Productions. https://books.google.hr/books?id=3rWDAAAACAAJ. Szegedy, C., Liu, W., Jia, Y., Sermanet, P., Reed, S., Anguelov, D., et al. (2015). Going deeper with convolutions. 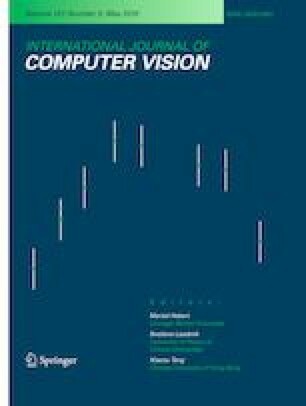 In 2015 IEEE conference on computer vision and pattern recognition (CVPR) (pp. 1–9). https://doi.org/10.1109/CVPR.2015.7298594. Viola, P., Jones, M. J., & Snow, D. (2003). Detecting pedestrians using patterns of motion and appearance. In Proceedings ninth IEEE international conference on computer vision (Vol. 2, pp. 734–741). https://doi.org/10.1109/ICCV.2003.1238422.